Kukio Outdoor Pursuits offers club members an incredible opportunity to experience all that the Big Island has to offer. If you are a fitness enthusiast looking for a new workout that improves your endurance, you may want to consider rock running. Yes, it’s just like it sounds. 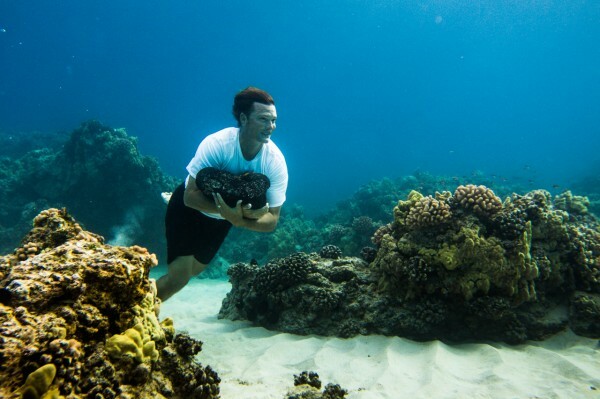 Running underwater with rocks is an incredible way to improve your overall endurance. According to Fitness Consultant Elizabeth Quinn, athletes of all sorts can attain the benefits of deep water running. Being submerged in Hawaii’s spectacular blue ocean water places resistance on all sides of the body forcing opposing muscles to work equally. It is an invigorating form of cross training, and an excellent way to deal with and prevent injuries. Water running can allow an injured athlete to recover without losing fitness. This activity is not for everyone. Ocean safety is a must, so be sure to always enjoy this activity with a friend or someone with experience. For more information, contact Carrie Nicholson, BIC. You can email me at	carrie@hawaiilife.com	or via phone at (808) 896-9749.